1. MICHAEL D1 BARRY was born March 25, 1822 in County Cork Ireland, and died September 16, 1903 in Saint John New Brunswick Canada. He married (1) BRIDGET O'NEILL. She was born in Ireland, and died Bet. 1859 - 1869 in Saint John New Brunswick Canada. 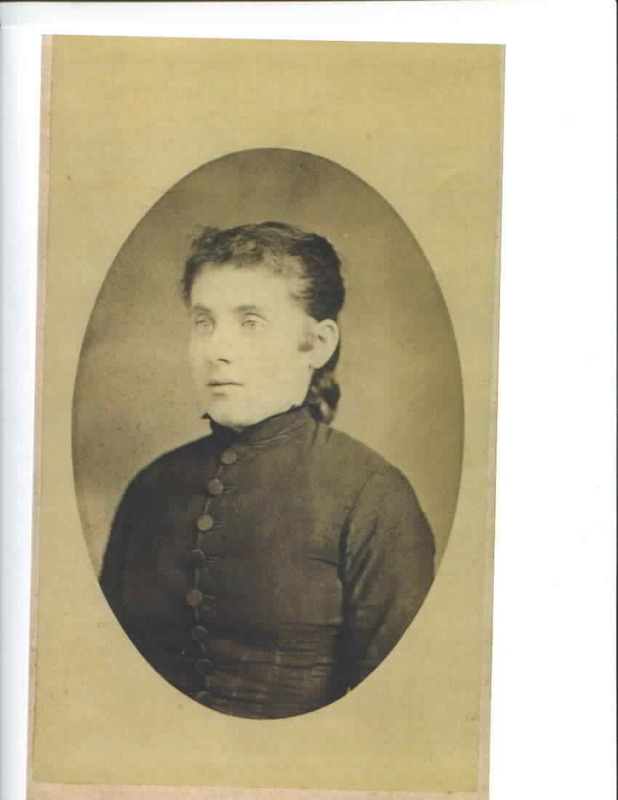 He married (2) MARY LANDERS February 1869 in Cathedral Saint John New Brunswick Canada. She was born Abt. 1837 in Ireland, and died November 26, 1900 in Saint John New Brunswick Canada. Innigrated from County Cork before September 1845 .Roman Catholic . i. MARY2 BARRY, b. September 28, 1845, Saint John New Brunswick Canada. ii. MICHAEL BARRY, b. February 10, 1849. 2. iii. CATHERINE BARRY, b. March 08, 1851, Saint John New Brunswick Canada; d. May 02, 1925, Saint John New Brunswick Canada. iv. MARY BARRY, b. March 25, 1854, Saint John New Brunswick Canada. v. HONORA BARRY, b. July 27, 1856, Saint John New Brunswick Canada. 3. vi. PATRICK LAWRENCE BARRY, b. March 13, 1859, Saint John New Brunswick Canada; d. January 09, 1895, Saint John New Brunswick Canada. vii. MICHAEL JAMES2 BARRY, b. September 23, 1871, Saint John New Brunswick Canada; d. March 17, 1902, Saint John New Brunswick Canada. Baptized at the Cathedral . Godparents were Joseph Allen and Catherine Barry . viii. WILLIAM HAROLD BARRY, b. January 19, 1876, Saint John New Brunswick Canada; d. April 11, 1897, Saint John New Brunswick Canada. 2. CATHERINE2 BARRY (MICHAEL D1) was born March 08, 1851 in Saint John New Brunswick Canada, and died May 02, 1925 in Saint John New Brunswick Canada. She married JAMES ( COO ) MURPHY. He was born Abt. 1847 in Ireland, and died 1924 in Saint John New Brunswick Canada. i. CATHERINE3 MURPHY, b. 1879; m. ALFRED FREDERICK BENNETT. 4. ii. 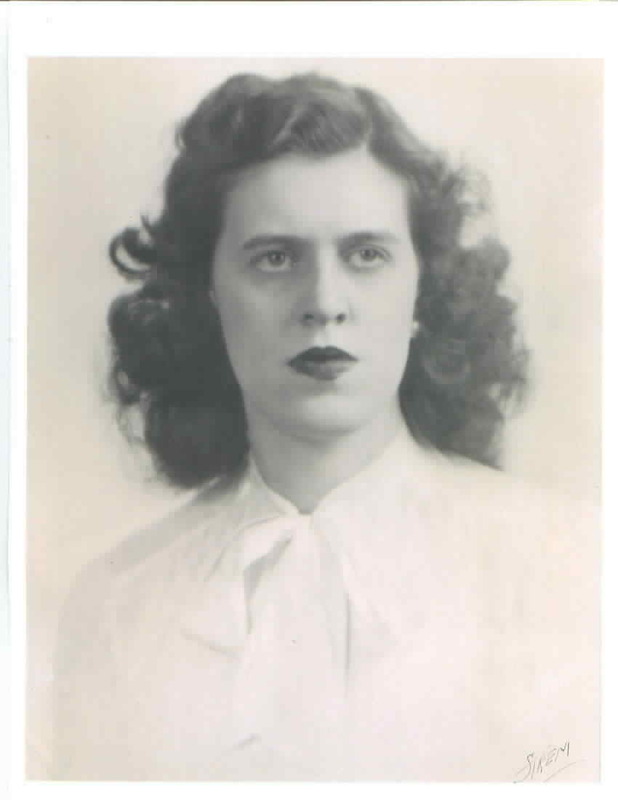 MARY ESTELLA MURPHY, b. 1881; d. 1922.
iii. ANNIE FLORENCE MURPHY, b. 1882; d. 1950. 5. iv. LAWRENCE ARTHUR MURPHY, b. 1884; d. 1961.
v. PATRICK JOSEPH MURPHY, b. 1885; d. 1962.
vi. ELIZABETH J MURPHY, b. 1886; d. 1968.
vii. BRIDGET LAURETTA MURPHY, b. 1888; d. 1965.
viii. HELEN MURPHY, b. 1889; d. 1950.
ix. GERTRUDE C MURPHY, b. 1891; d. 1972.
x. SARAH VERONICA MURPHY, b. 1894; d. 1978. 3. PATRICK LAWRENCE2 BARRY (MICHAEL D1) was born March 13, 1859 in Saint John New Brunswick Canada, and died January 09, 1895 in Saint John New Brunswick Canada. He married MARY ANN KELLY February 03, 1882 in Cathedral Saint John New Brunswick Canada, daughter of DANIEL KELLY and ABIGAIL HALEY. She was born December 02, 1862 in Saint John New Brunswick Canada, and died October 06, 1891 in Saint John New Brunswick Canada. Baptized at the Cathedral . Godparents were Patrick Haley and Ellen Connolly . Witnesses were Michael and Maggie Nugent . i. MICHAEL3 BARRY, b. March 30, 1882, Saint John New Brunswick Canada; d. Bef. 1891, Saint John New Brunswick Canada. Baptized at the Cathedral . Godparents were Michael Barry and Elizabeth Kelly . ii. MARY ELLEN ( MAME )BARRY, b. Abt. 1883, Saint John New Brunswick Canada; d. March 24, 1941, Jamaica Plain Massachusetts. 6. iii. FREDERICK LAWRENCE BARRY, b. February 09, 1884, Saint John New Brunswick Canada; d. August 01, 1961, Boston Massachusetts. iv. DANIEL HAROLD BARRY, b. April 19, 1885, Saint John New Brunswick Canada; d. January 09, 1920, Jamaica Plain Massachusetts. Baptized at St Peter's Church . Godparents were Cornelius O'Brien and Mary Daly . v. WILLIAM PATRICK BARRY, b. October 24, 1886, Saint John New Brunswick Canada; d. April 11, 1947, Jamaica Plain Massachusetts. Baptized at St Peter's church . Godparents were James Murphy and Margaret Nugent . 7. vi. 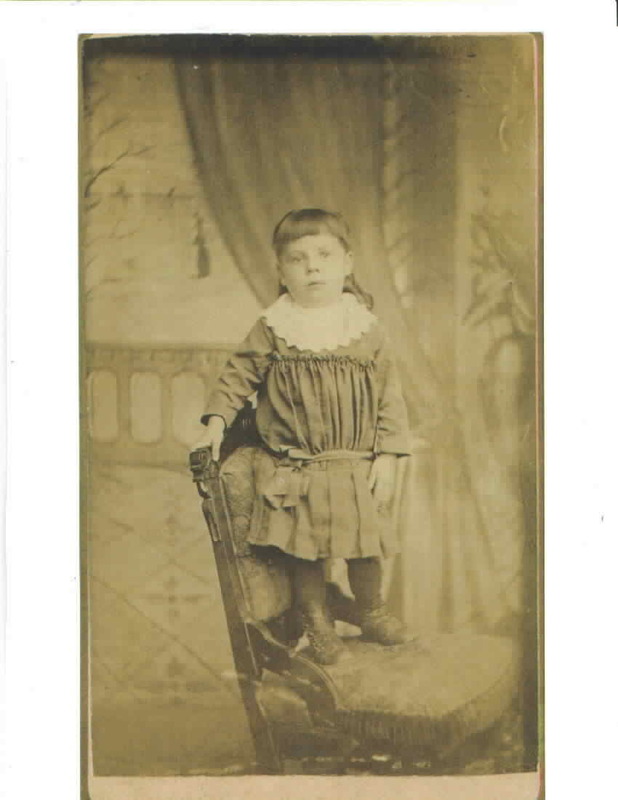 JOSEPH PATRICK BARRY, b. July 29, 1888, Saint John New Brunswick Canada. vii. FRANCIS BARRY, b. October 06, 1889, Saint John New Brunswick Canada. Baptized at St John the Baptist Church . Godparents were Daniel McHale and Ann Kelly . viii. GERALD FRANCIS BARRY, b. December 07, 1890, Saint John New Brunswick Canada. Baptized at St John the Baptist Church . Godparents were Michael James Barry and Eliza Kelly . 4. MARY ESTELLA3 MURPHY (CATHERINE2 BARRY, MICHAEL D1) was born 1881, and died 1922. She married JOHN EDGAR MOORE. 5. LAWRENCE ARTHUR3 MURPHY (CATHERINE2 BARRY, MICHAEL D1) was born 1884, and died 1961. He married ANNE CHRISTINE WALLACE. i. JAMES WALLACE4 MURPHY, b. 1914. 8. ii. DORIS MARY MURPHY, b. 1916. 9. iii. DONALD ARTHUR MURPHY, b. 1917. 10. iv. AUBREY JOSEPH MURPHY, b. 1919. 11. v. LAWRENCE THOMAS MURPHY, b. 1919.
vi. KATHERINE CLARE MURPHY, b. 1921.
vii. BARRY MATHEW MURPHY, b. 1923. 12. viii. FRANCIS EDWARD MURPHY, b. 1926. 6. FREDERICK LAWRENCE3 BARRY (PATRICK LAWRENCE2, MICHAEL D1) was born February 09, 1884 in Saint John New Brunswick Canada, and died August 01, 1961 in Boston Massachusetts. He married MARY ELIZABETH ( MOLLY) REDDEN, daughter of PATRICK REDDEN and CATHERINE NEARY. Baptized at the Cathedral . Godparents were Jeremiah Kelly and Kate Murphy . 13. i. LAWRENCE ANDREW4 BARRY, b. September 23, 1918, Boston Massachusetts. 14. ii. FRANCIS XAVIER BARRY, b. August 25, 1919, Boston Massachusetts; d. 1991, Weymouth Massachusetts. 15. iii. CATHERINE BARRY, b. January 17, 1924, Boston Massachusetts. 7. JOSEPH PATRICK3 BARRY (PATRICK LAWRENCE2, MICHAEL D1) was born July 29, 1888 in Saint John New Brunswick Canada. He married GERTRUDE CUNNINGHAM Abt. 1910 in Boston MA. Baptized at the Cathedral . Godparents were John Condon and Julia Nugent . 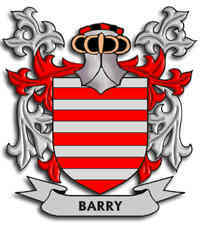 i. JOSEPH W4 BARRY, b. 1912.
ii. CHARLES F BARRY, b. 1913.
iii. ELEANOR G BARRY, b. 1915.
iv. MARIE E BARRY, b. 1917.
v. HAROLD F BARRY, b. 1922. 8. DORIS MARY4 MURPHY (LAWRENCE ARTHUR3, CATHERINE2 BARRY, MICHAEL D1) was born 1916. She married JOHN STANTON. 9. DONALD ARTHUR4 MURPHY (LAWRENCE ARTHUR3, CATHERINE2 BARRY, MICHAEL D1) was born 1917. He married CONSTANCE WHELLY. 10. AUBREY JOSEPH4 MURPHY (LAWRENCE ARTHUR3, CATHERINE2 BARRY, MICHAEL D1) was born 1919. He married EDNA GILMOR. 11. LAWRENCE THOMAS4 MURPHY (LAWRENCE ARTHUR3, CATHERINE2 BARRY, MICHAEL D1) was born 1919. He married MARY FURLONG. 12. FRANCIS EDWARD4 MURPHY (LAWRENCE ARTHUR3, CATHERINE2 BARRY, MICHAEL D1) was born 1926. He married MARIE AUDREY MOORE. 13. LAWRENCE ANDREW4 BARRY (FREDERICK LAWRENCE3, PATRICK LAWRENCE2, MICHAEL D1) was born September 23, 1918 in Boston Massachusetts. He married GRACE WATSON December 23, 1943 in Greensboro North Carolina. 14. FRANCIS XAVIER4 BARRY (FREDERICK LAWRENCE3, PATRICK LAWRENCE2, MICHAEL D1) was born August 25, 1919 in Boston Massachusetts, and died 1991 in Weymouth Massachusetts. He married MARGARET MANNING. She was born March 07, 1921 in Boston Massachusetts, and died 2000 in Bourne Massachusetts. 15. CATHERINE4 BARRY (FREDERICK LAWRENCE3, PATRICK LAWRENCE2, MICHAEL D1) was born January 17, 1924 in Boston Massachusetts. She married LUCIEN E VANASSE October 22, 1949 in Our Lady of Lourdes Jamaica Plain Massachusetts.